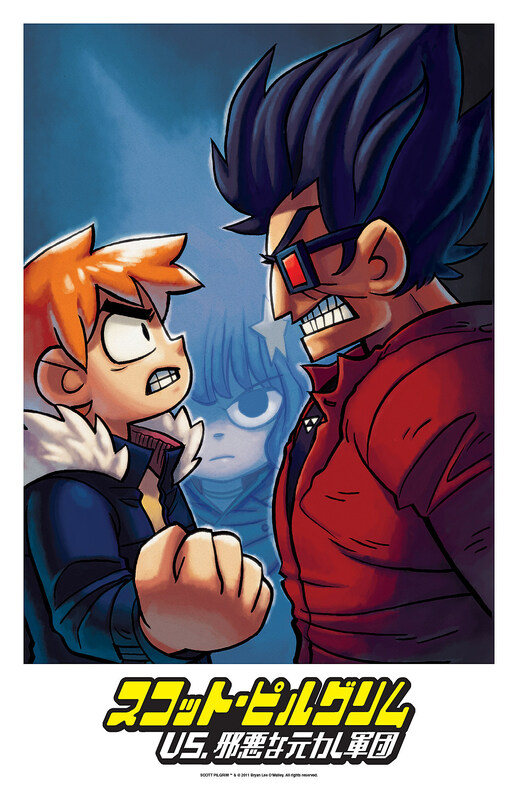 We were stoked to see art from the Japanese editions of Bryan Lee O'Malley's Scott Pilgrim series back in April (especially the one that paid homage to Street Fighter 2), but we're even more pleased to report that all the goodness sold in those international volumes will be available for purchase at the San Diego Comic-Con International as posters this coming week. 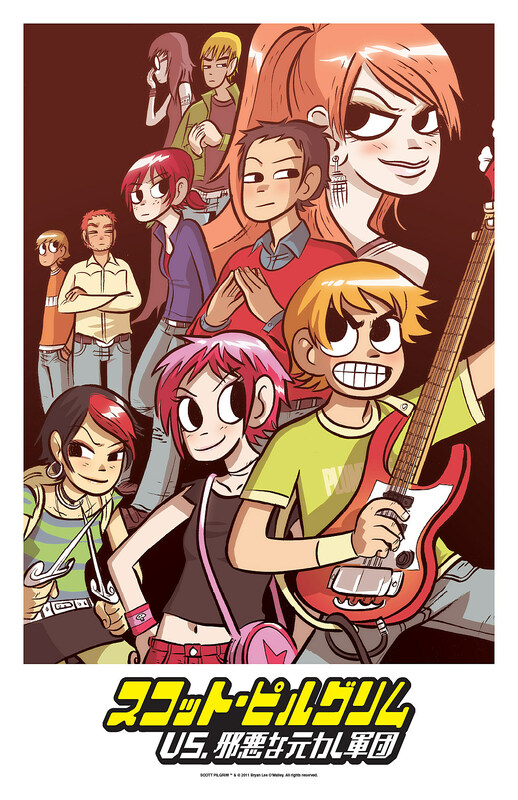 The 11" x 17" posters will be sold at the Oni Press booth (#1833) for $20 each or a set of three for $50. Each of the signed and hand-numbered posters is limited to just 200 copies, though, so you'll want to act quickly if they're one of your con must-haves. See full images of each poster after the jump.